We are already off to a great, warm and sunny summer of 2018! We are a small pool that has been providing family fun for nearly 60 years. People tell us that they love to come to Fair Valley, away from the crowds, in our beautiful wooded setting. They also enjoy being able to pack in their own coolers of food and spend the day. Over the years lots of great family memories have been made at our little gem in the woods. Please keep in mind that we are member-owned and member-operated! Our revenue comes from our membership fees, fundraisers, and donations. We strive to keep the costs down and work diligently to make good budget decisions. Please be ready to help in any way you can to keep Fair Valley going strong! Sitter Pass –Purchase if you are doing childcare for a child not in your family OR if you are paying for a sitter to care for your child. If you are interested in serving on the Fair Valley board, please let us know. See you at Fair Valley! Relaxing. Close to home. Family-oriented. What better way to spend your summer! 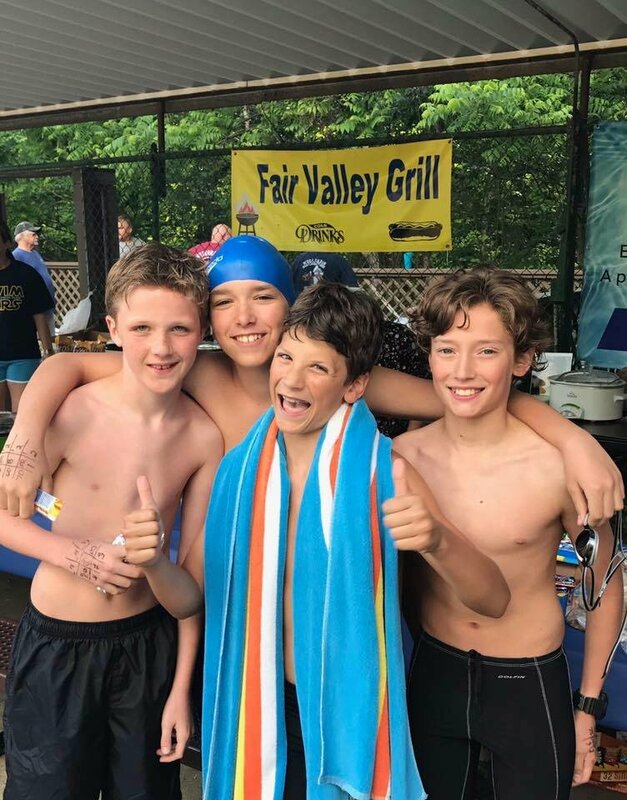 Hold your corporate, church, or group outing at Fair Valley! Family memberships as low as $325 plus tax (stockholder rate) cover your entire immediate family. Couple, single, and corporate memberships are also available. See our Membership Plans. Enjoy pride of ownership in your park by purchasing Fair Valley stock. The stock can pay for itself in about three years through discounted membership dues. Request more information.